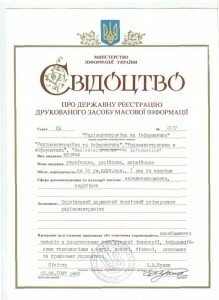 Certificate of State Registration: КВ №2657, 02 June 1997; KB №12097-968 ПР, 14 Dec 2006. 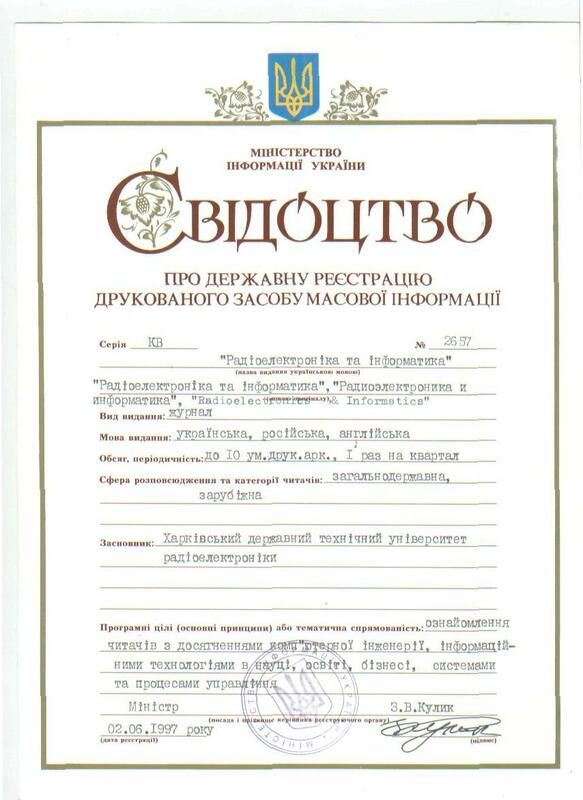 The journal was registered by the State Committee for information policy, television and radio broadcasting of Ukraine in 02.06.1997. 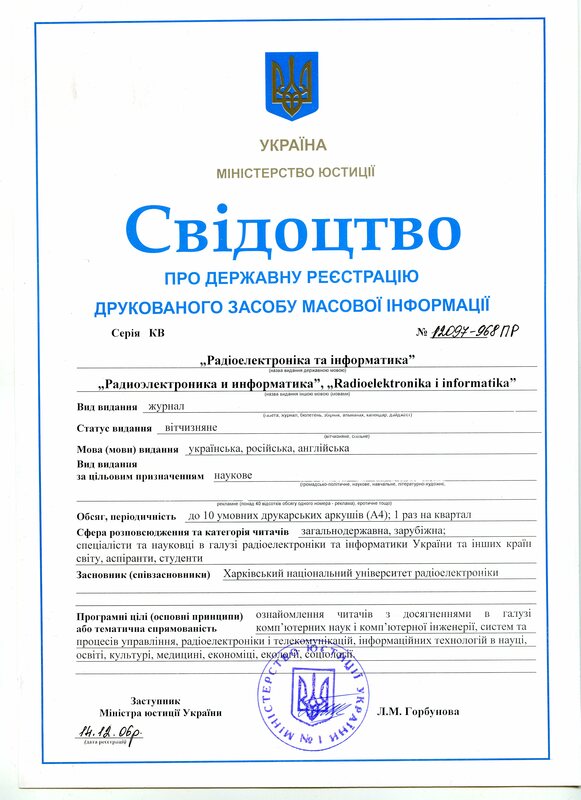 In accordance with the decision of the Presidium of All-Ukrainian Certification Commission (№ 1-05/5 dated 01.07.2010, № 1159) the journal “Radio Electronics & Informatics” was included in the List of the scientific specialized periodicals of Ukraine where the results of dissertations for PhD and Dr. of Sc. in Technical and Mathematical Sciences may be published. Radioelectronics & Informatics Journal is abstracted in international and national abstractig journals and scientometric databases, and also placed to the digital archives and libraries with a free on-line access, which are listed below. 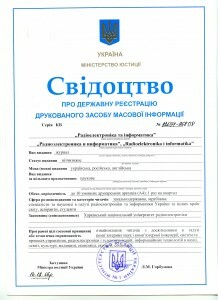 Information base about scientific journals (Poland).